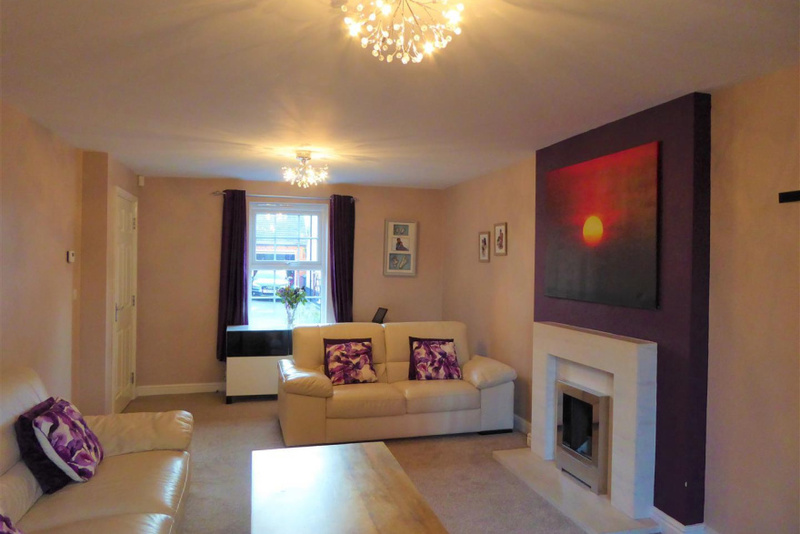 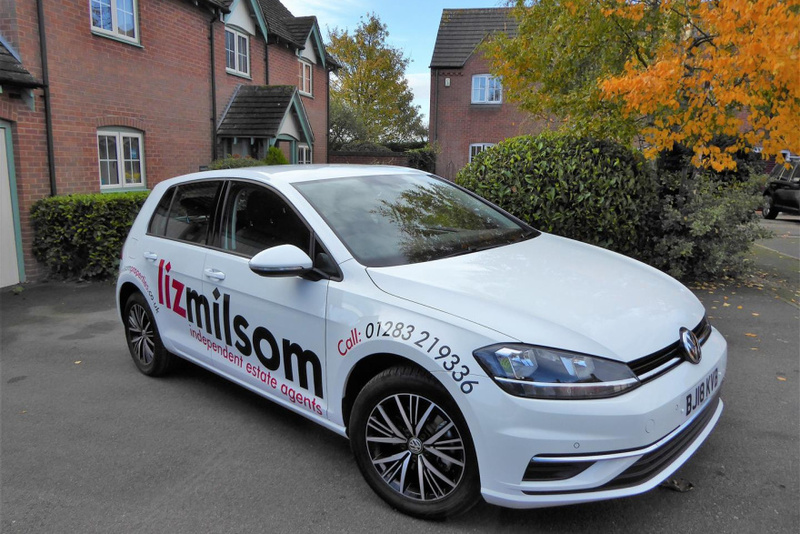 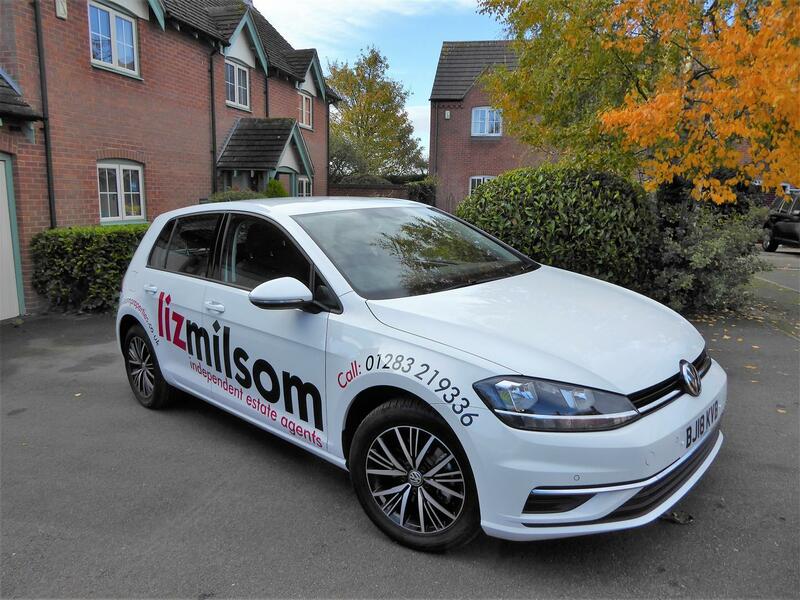 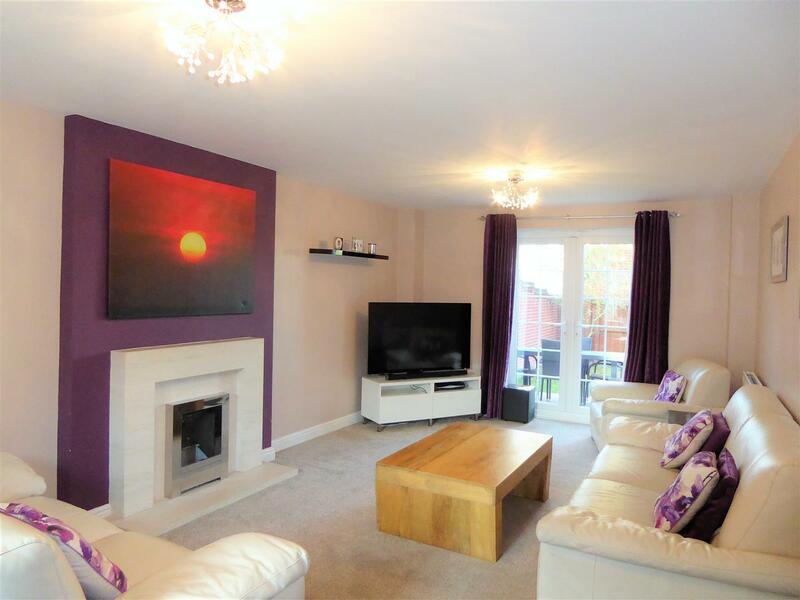 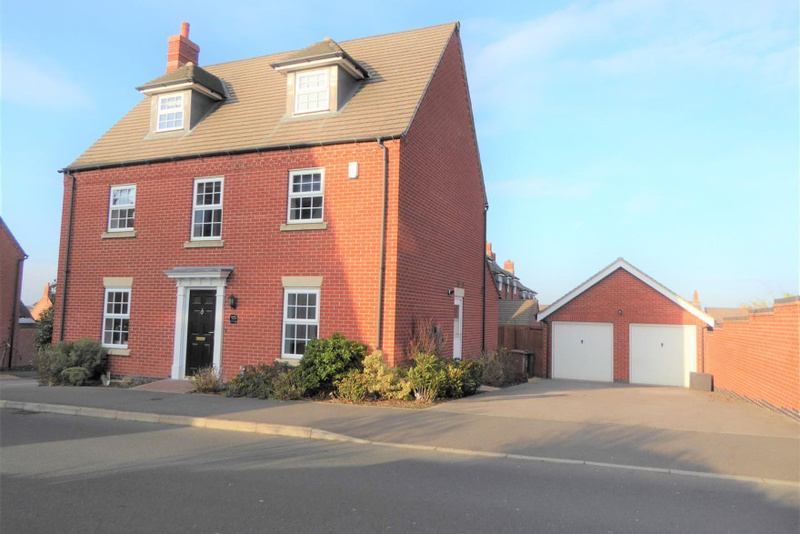 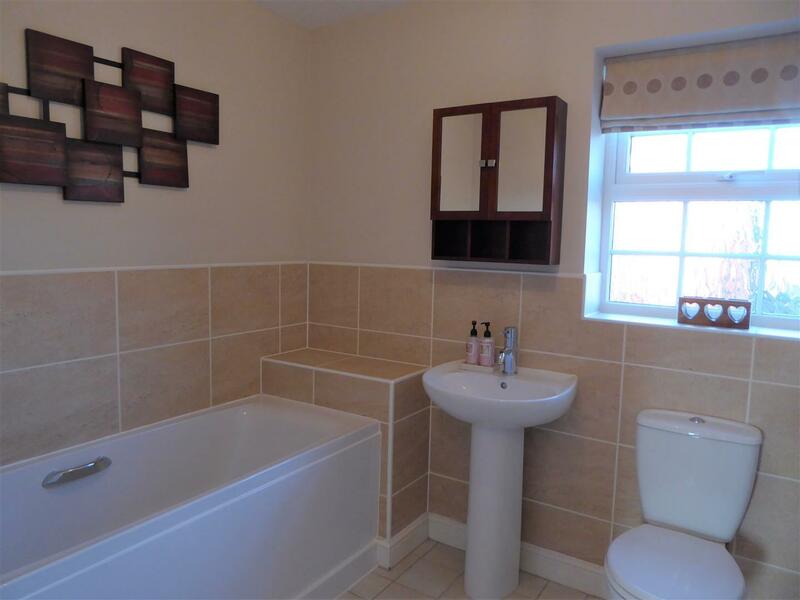 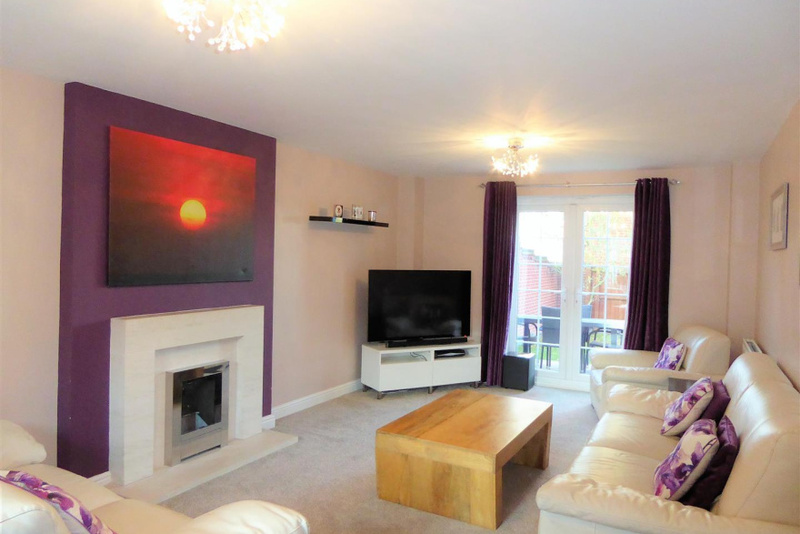 LIZ MILSOM PROPERTIES are delighted to offer for sale .... this beautifully presented READY TO MOVE INTO, SPACIOUS, FIVE BEDROOMED detached family home situated in a much sought after location. 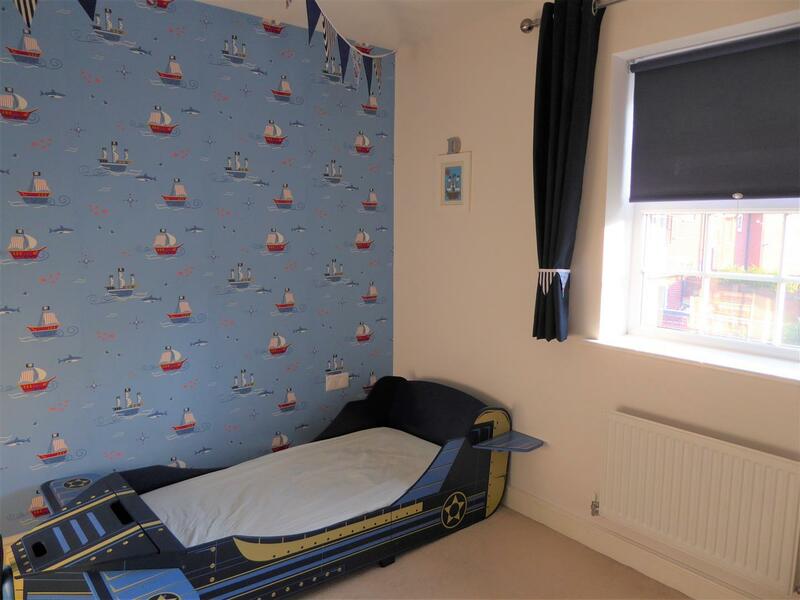 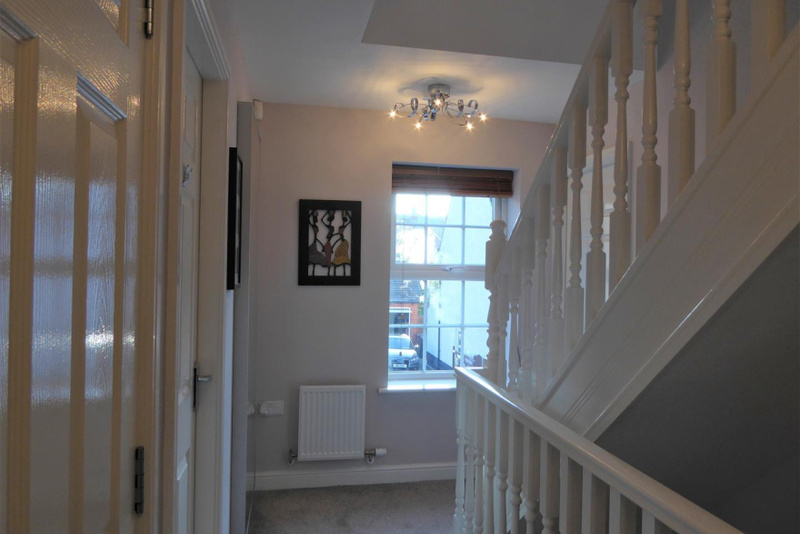 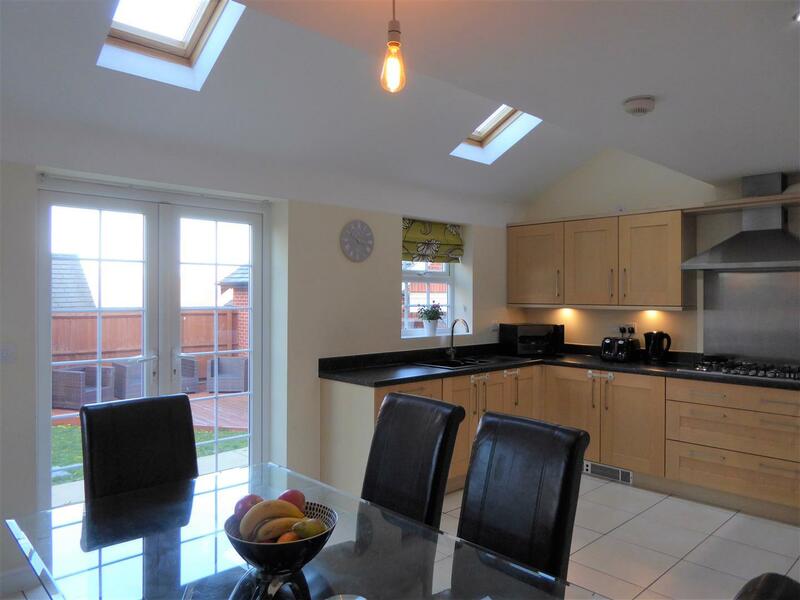 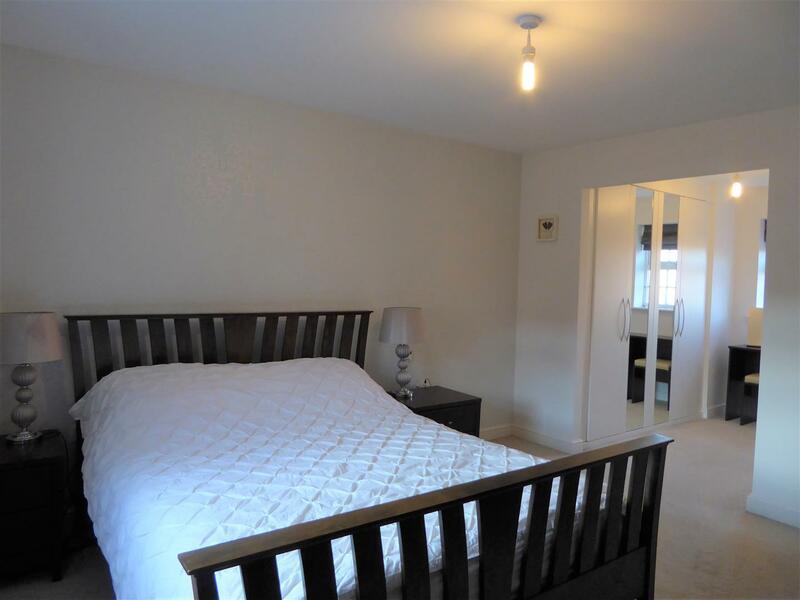 Benefiting from a superb Kitchen/Diner, separate Utility space, separate Playroom/Dining Room and spacious Lounge. 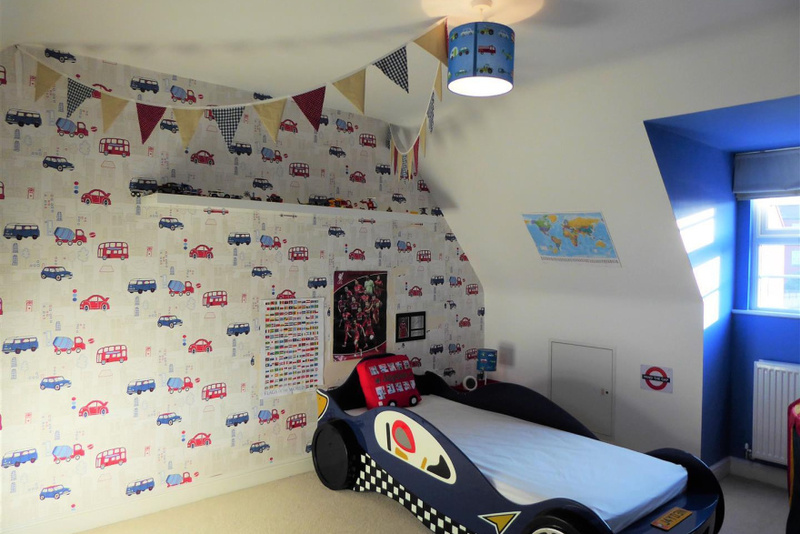 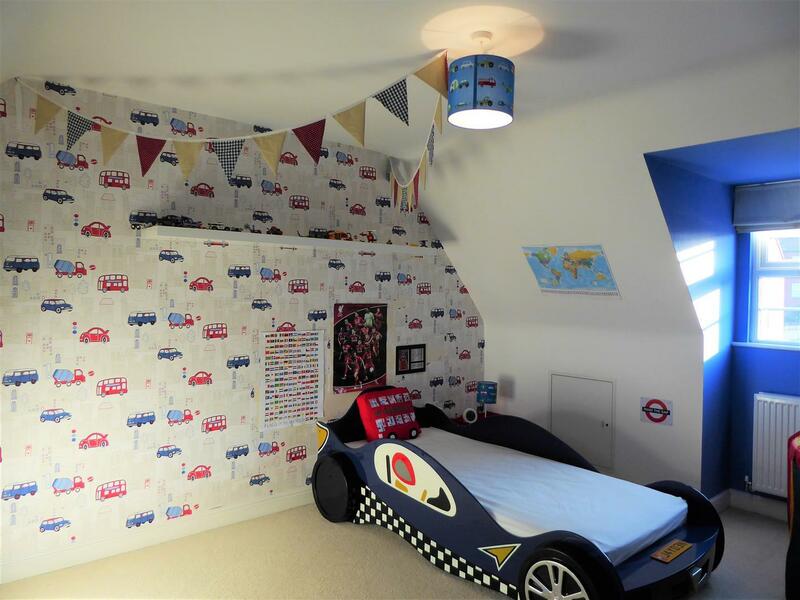 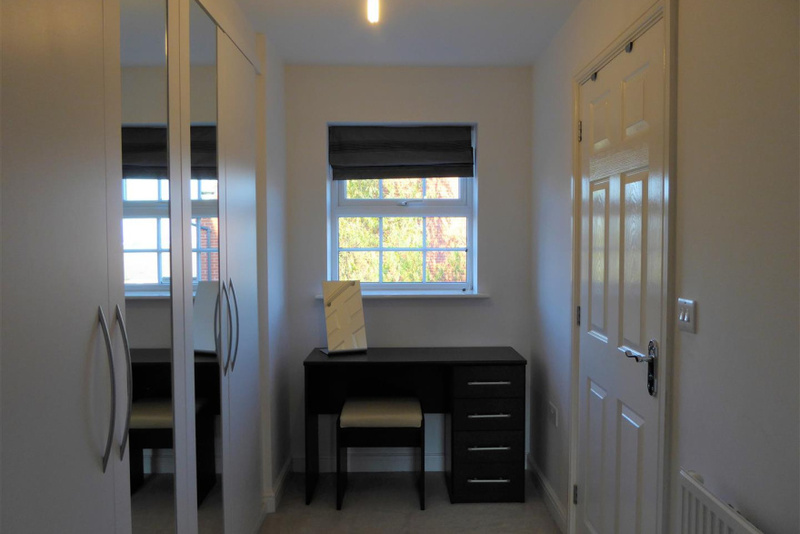 To the First Floor there are three Double Bedrooms, En-Suite and Dressing Area to Master Bedroom and Family Bathroom. 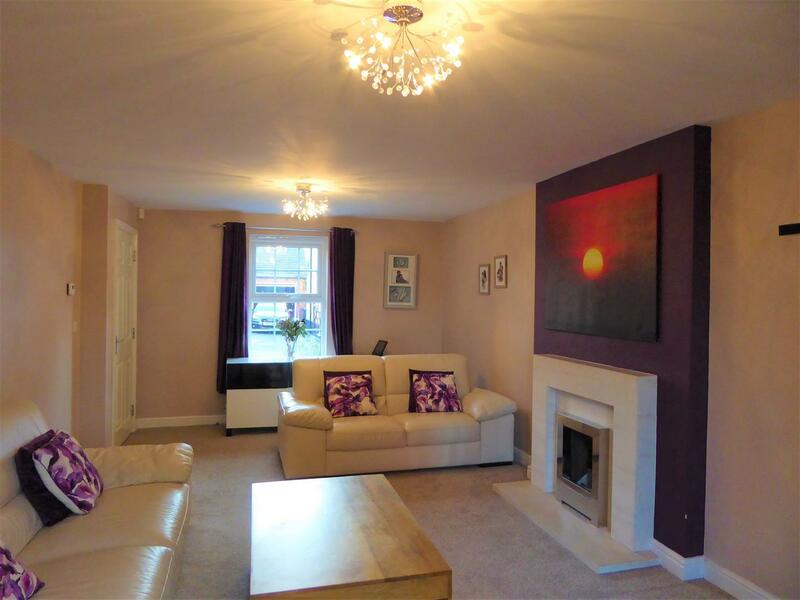 A thriving community right at the heart of the National Forest, the property is pleasantly situated on this extremely popular development built by David Wilson Homes and has become an increasingly popular place to live for those appreciating the natural beauty and excellent amenities within the area, within easy walking distance is a local Sainsburys Convenience Store, Gresleydale Health Centre with Chemist and a small parade of shops. 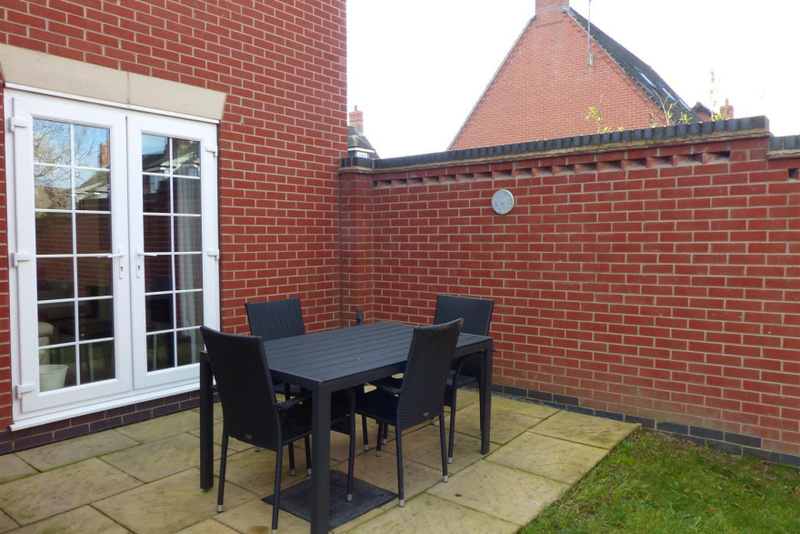 This South Derbyshire village also benefits from lying within easy access of the M42 motorway and therefore offers good transport links with the major towns and cities throughout the Midlands, along with a wide range of retail and leisure facilities in nearby Swadlincote, Burton on Trent and Ashby de la Zouch. 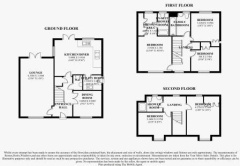 The well presented accommodation is accessed via a PVCu double glazed front entrance door which leads directly in to the substantial Hallway with oak effect flooring, telephone point and doors to the downstairs Cloaks/WC, Lounge, Dining Room/Playroom and Extensive Kitchen/Diner - stairs also lead off to the First Floor and Landing. 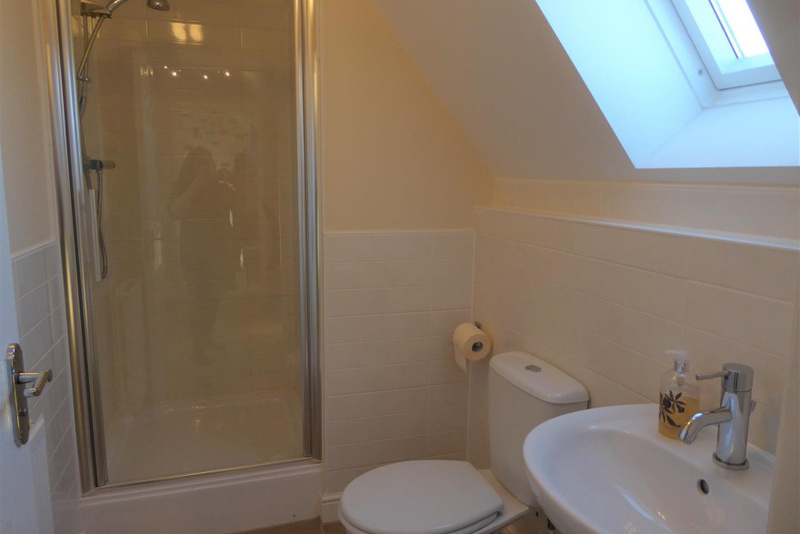 The downstairs Cloaks comprises of white two piece suite, with low level WC and wash hand basin, tiled flooring, centre light point and radiator. 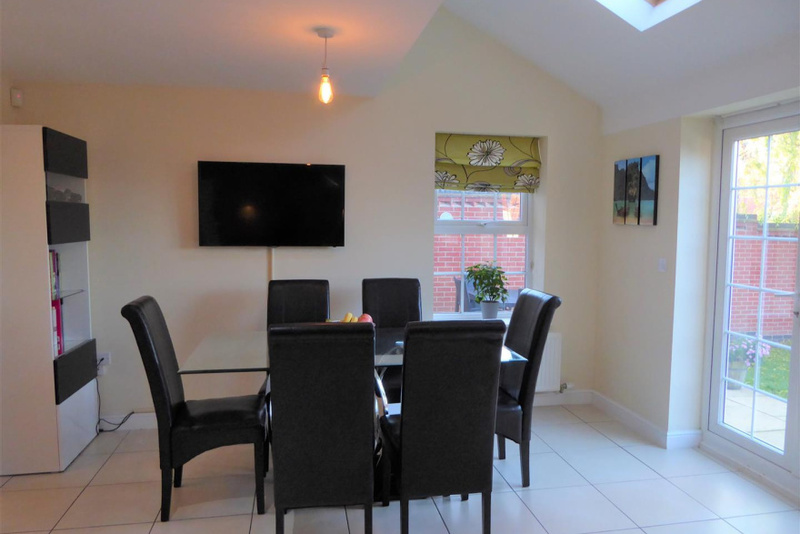 In the Lounge there is PVCu double glazed window overlooking the front elevation and PVCu patio doors overlooking the rear elevation - this room is light and airy, TV aerial point, centre light point, carpet to flooring and radiator. 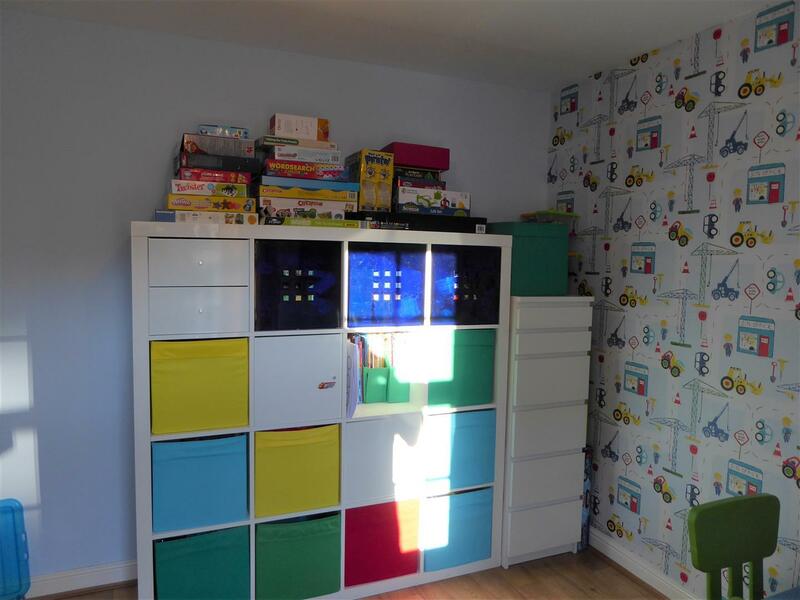 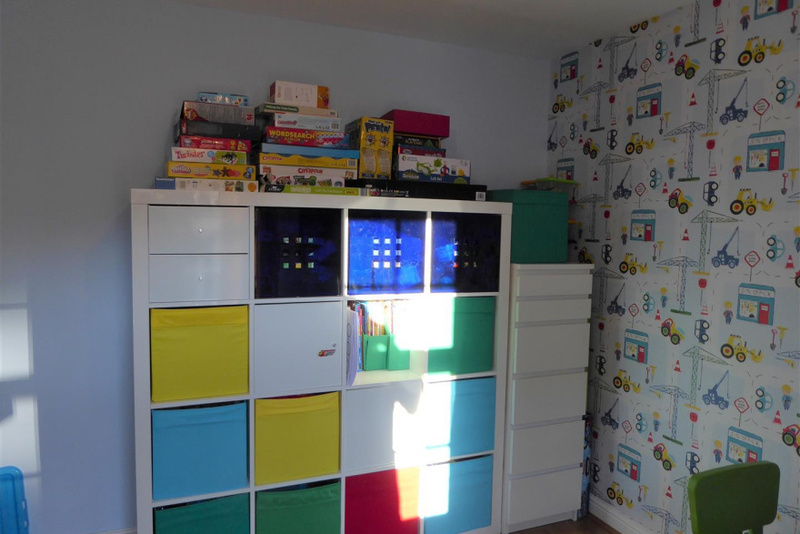 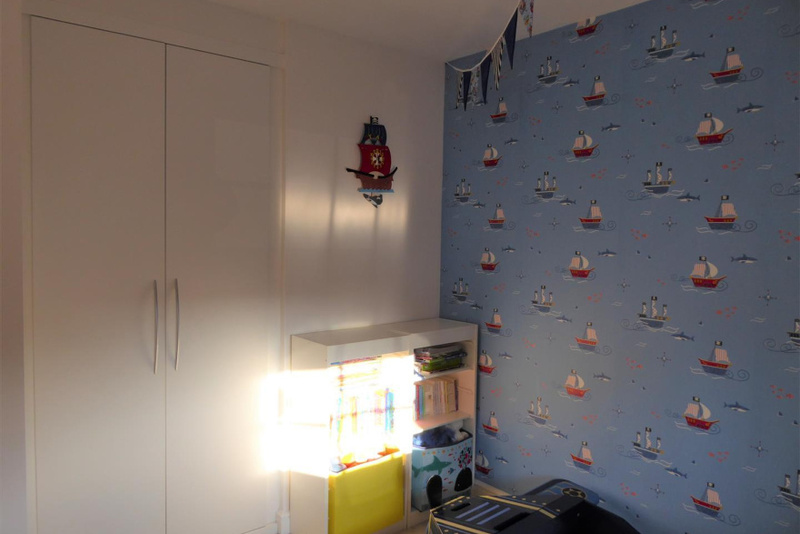 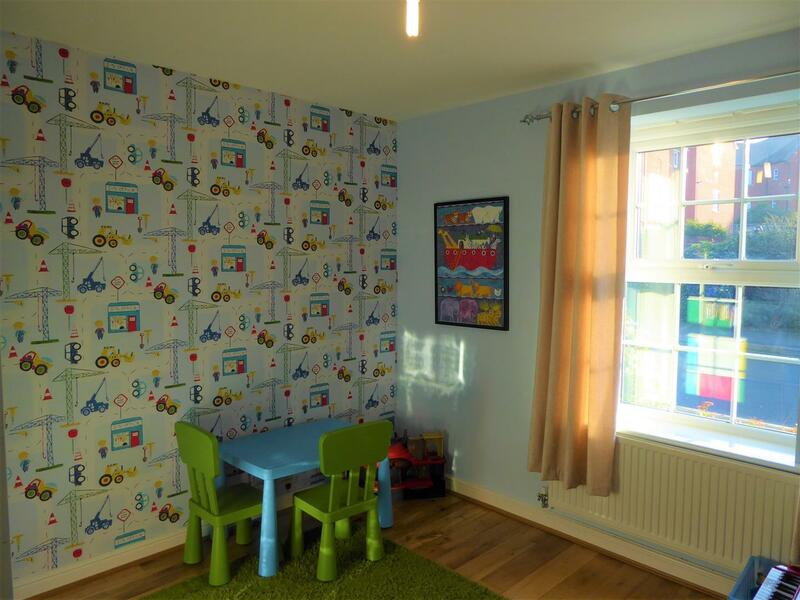 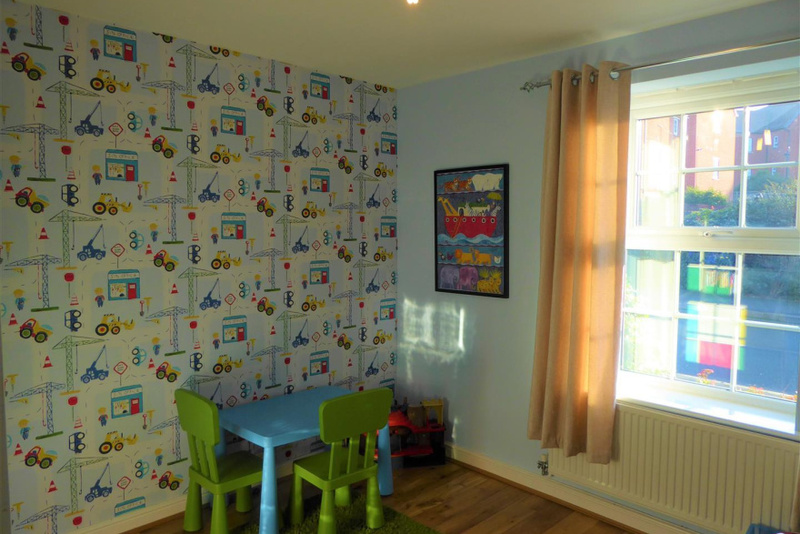 The Dining Room/Playroom is access via double doors directly off the Hallway and has a PVCu double glazed window overlooking the front elevation, oak effect flooring, centre light point and radiator. 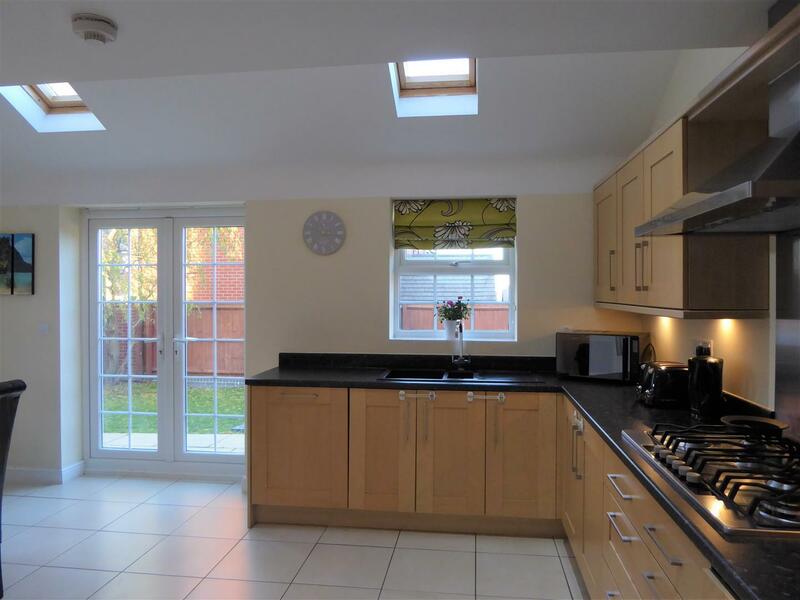 The well equipped Kitchen/Diner is to the rear of the property with PVCu double glazed windows overlooking both the side elevation and rear elevation with a set of PVCu patio doors leading out onto the patio and garden area. 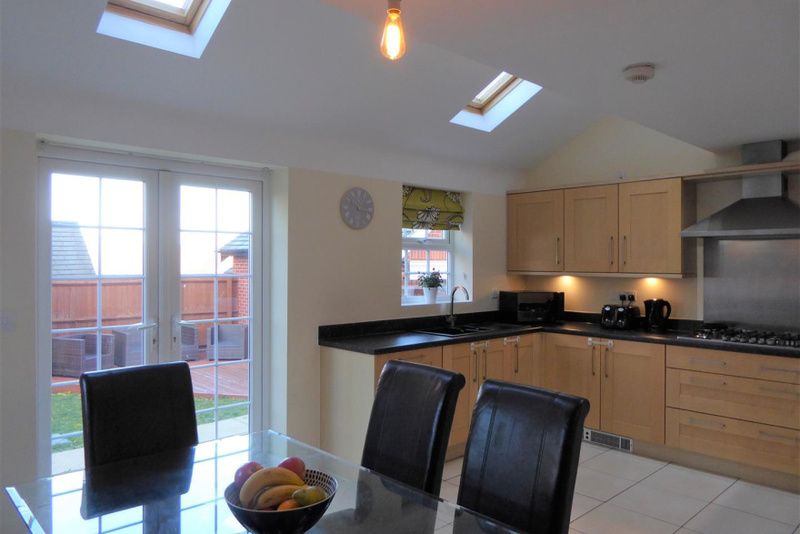 Having a range of oak effect wall and floor mounted units complimentary black work surface areas over, black one and a half bowl sink unit, tiled flooring, TV aerial point, built in AEG electric oven, 6-ring gas cooker with extractor hood over, space for fridge-freezer, spot light effects, two velux windows radiator and door to the Utility which has tiled flooring which flows through from the Kitchen area with a range of matching wall and floor mounted units in oak with work suface areas over, stainless steel sink and drainer with mixer tap over, plumbing for an automatic washing machine, concealed ICOS combination boiler and PVCu door to the side elevation and driveway. 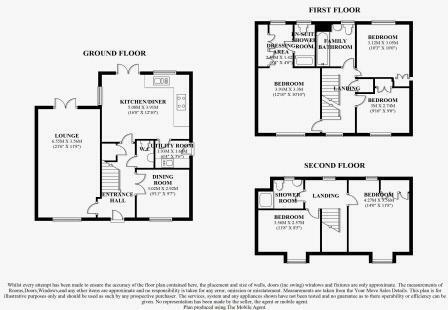 The first floor accommodates 3 double Bedrooms and the Family Bathroom, the Master Bedroom has a PVCu double glazed window overlooking the front elevation, carpet to flooring, radiator and centre light point - open plan to this room is the Dressing Area which has a range of fitted wardrobes, space for a dressing table, PVCu double glazed window to the rear elevation and door to the Ensuite. 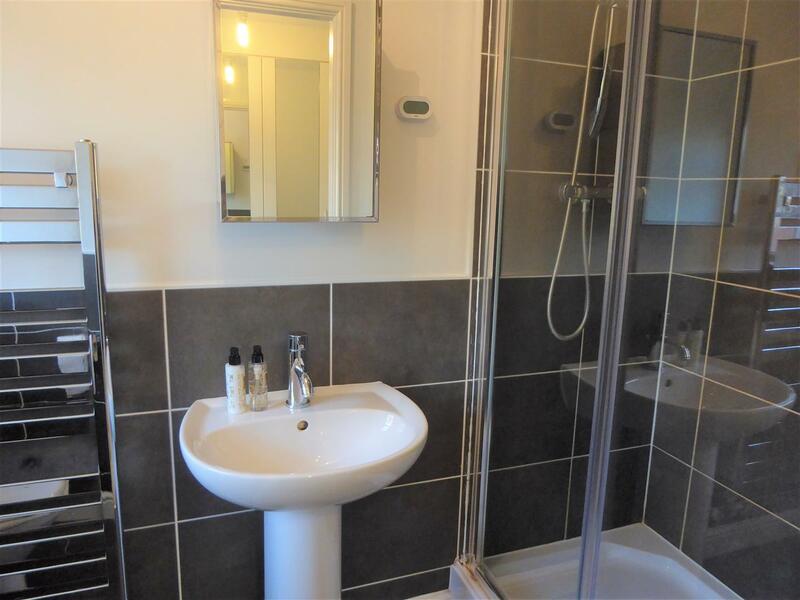 The Ensuite consists of a double shower cubical with mains shower and splash back tiles, white low level WC and pedestal wash hand basin - opaque double glazed window overlooking the rear elevation and ladder towel heater. 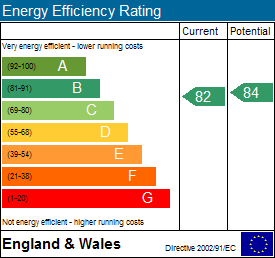 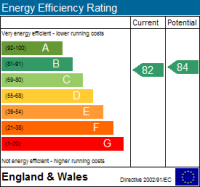 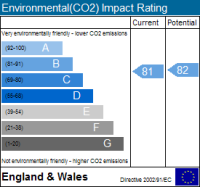 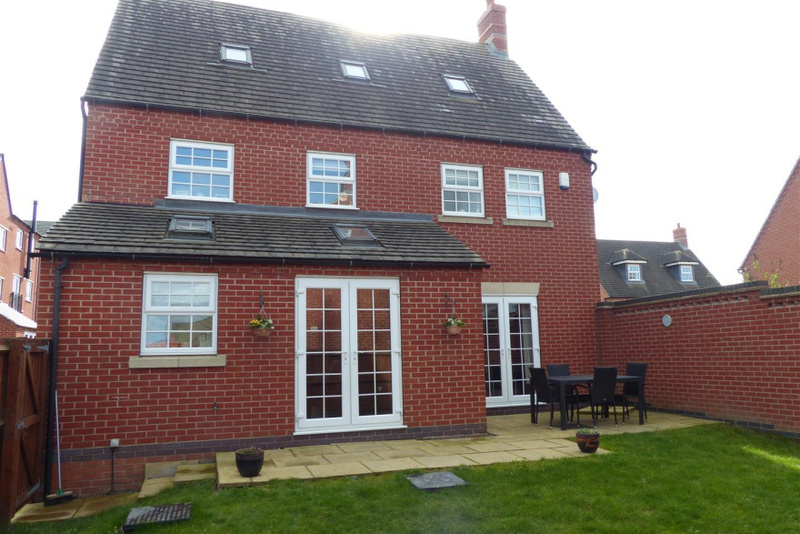 The second double overlooks the front elevation with PVCu double glazed window to the front elevation, radiator carpet to flooring, fitted double wardrobe and centre light point. 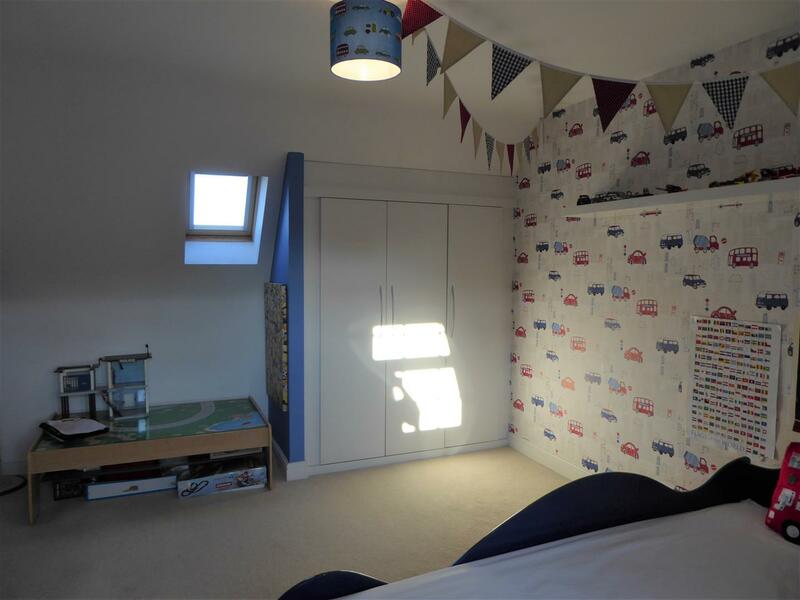 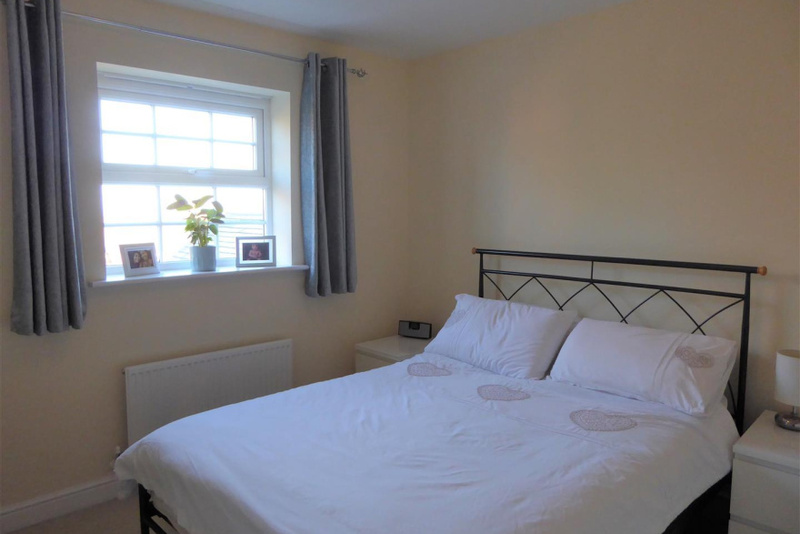 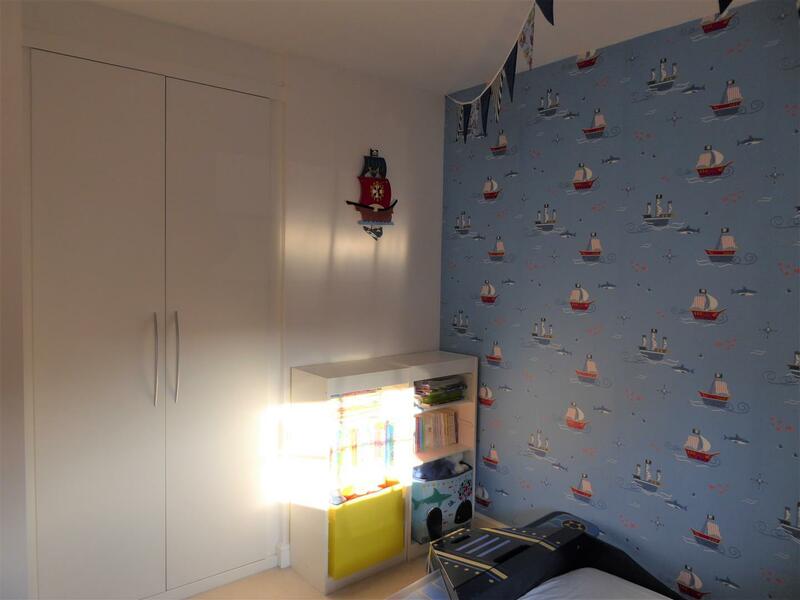 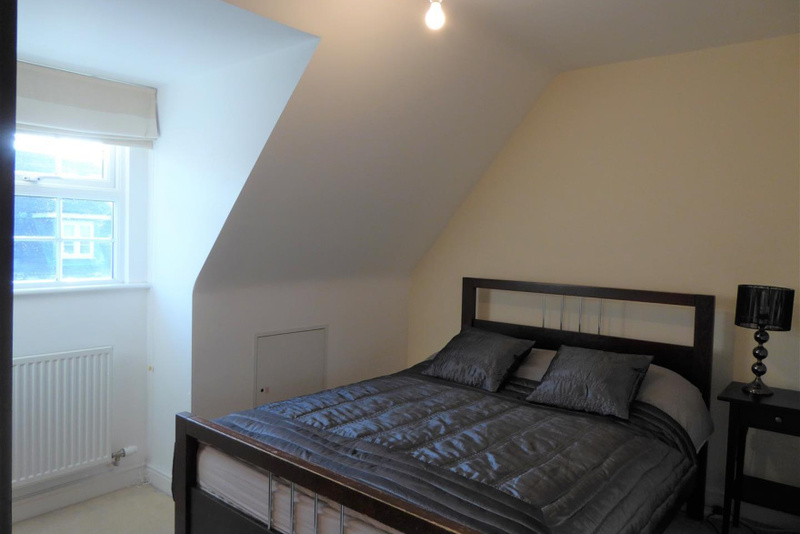 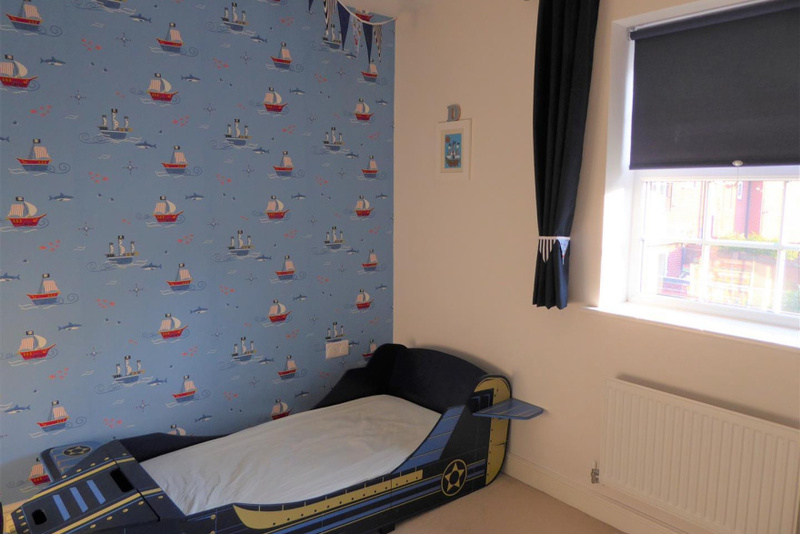 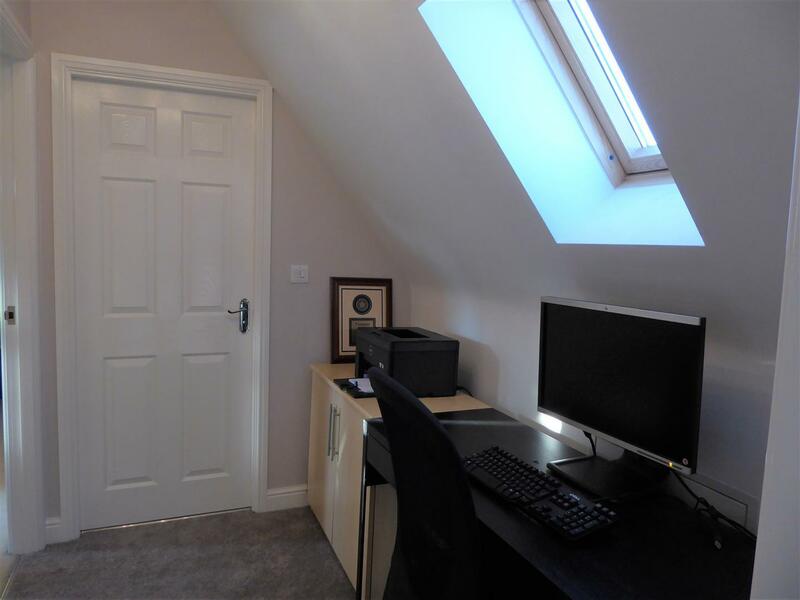 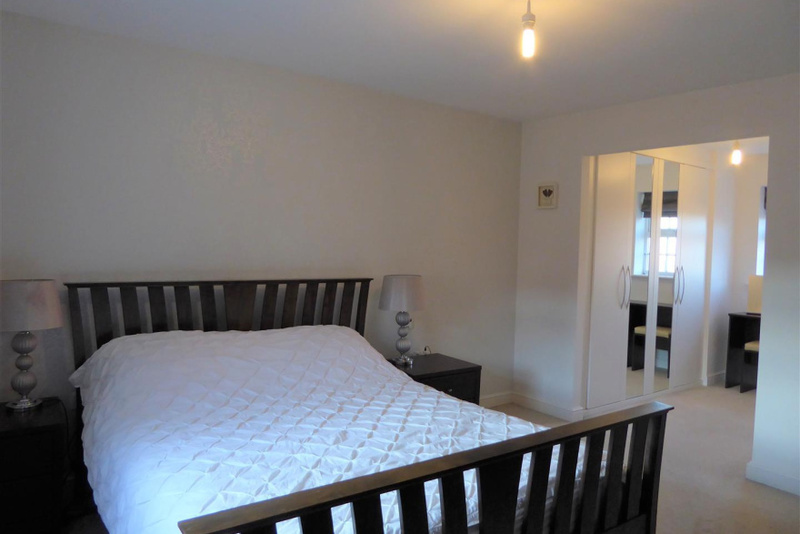 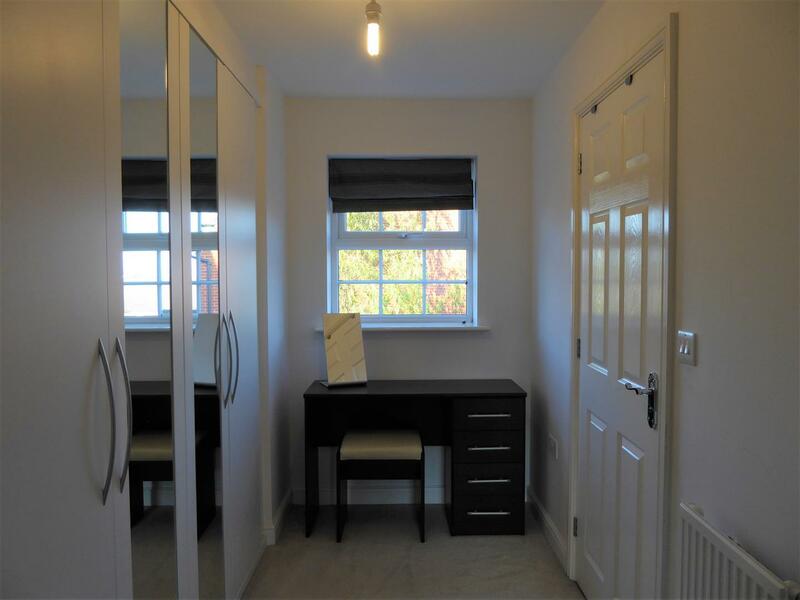 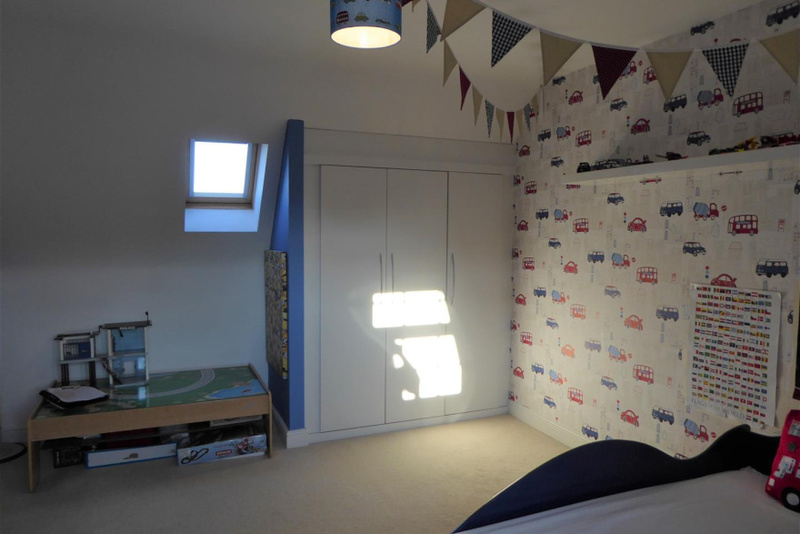 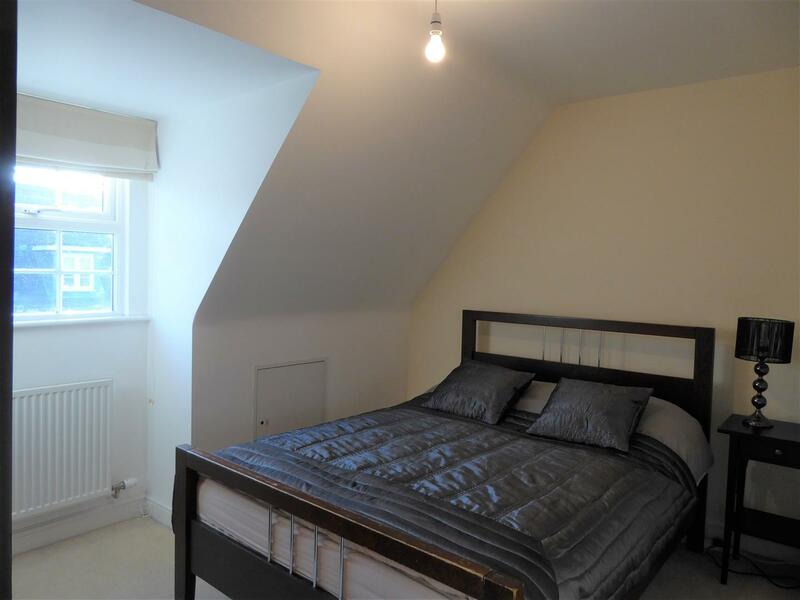 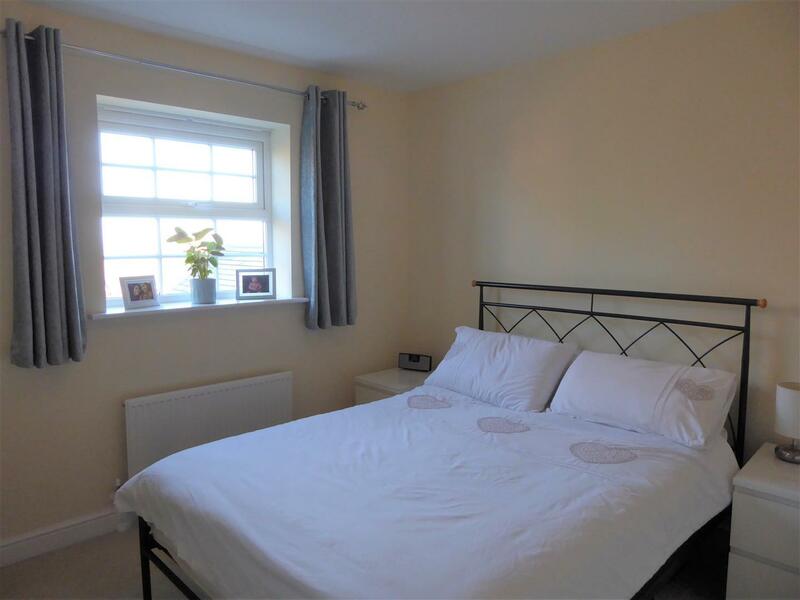 The third Bedroom on this floor has a PVCu double glazed window overlooking the rear elevation, single fitted wardrobe, centre light point and carpet to flooring. 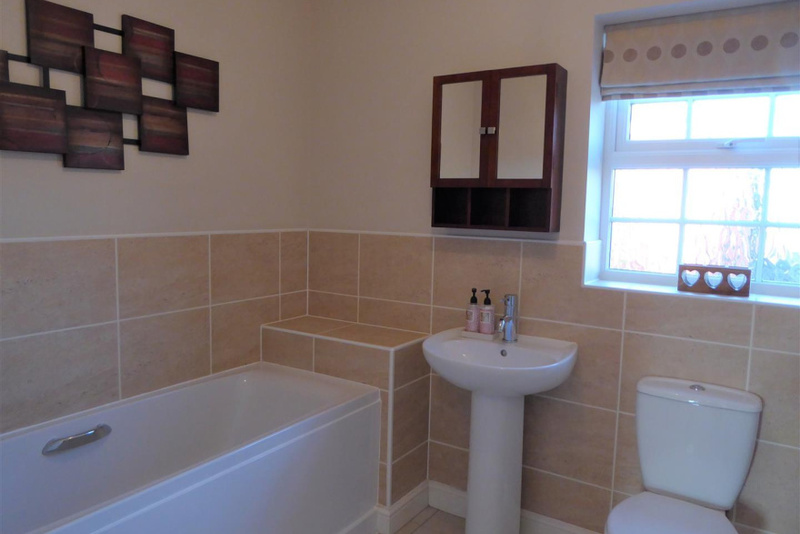 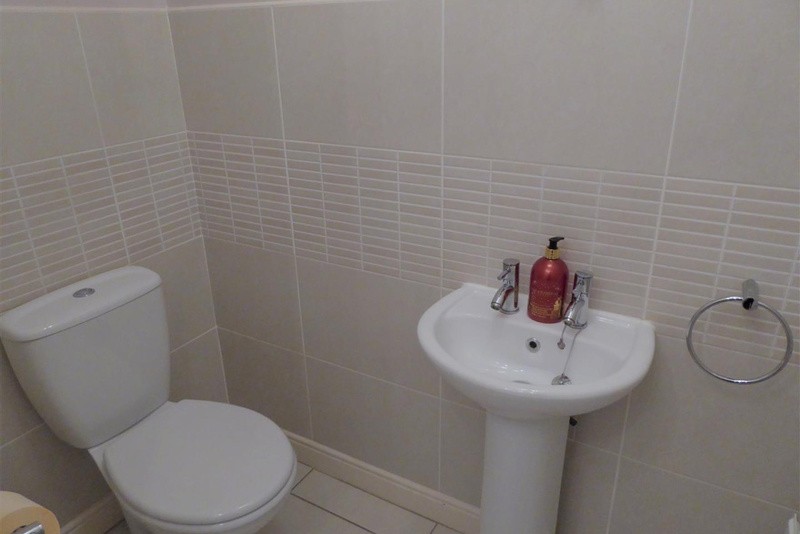 The Family Bathroom is situated to the rear elevation with opaque PVCu double glazed window, consisting of a white three piece suite of panelled bath with assist handles, pedestal wash hand basin, low level WC complimentary part tiling to walls and floor, centre light point and radiator. 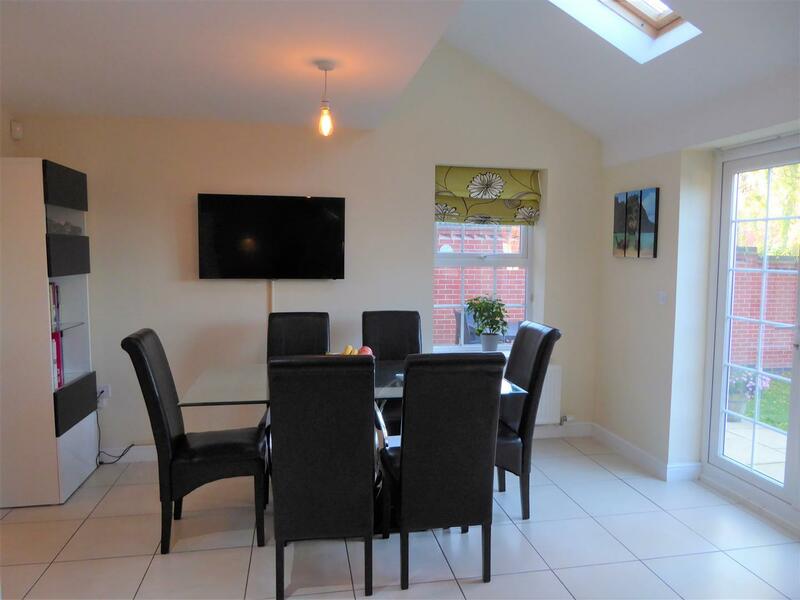 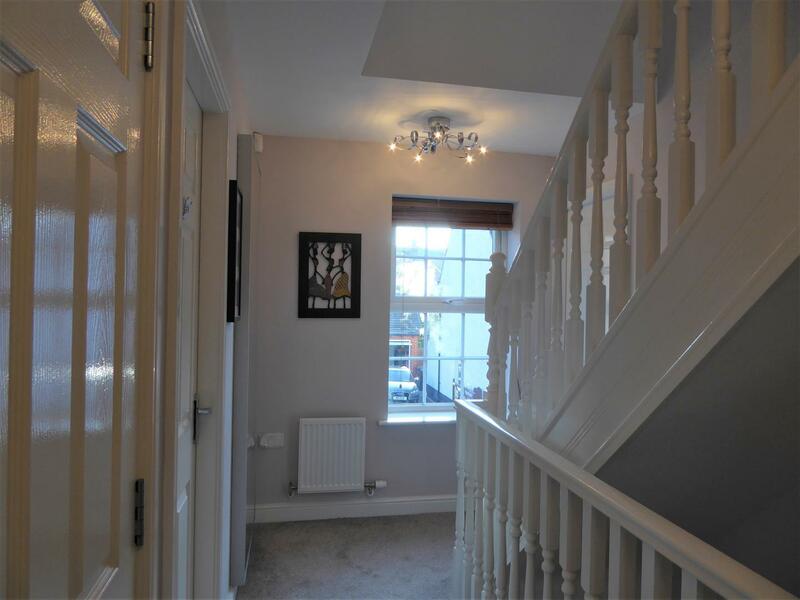 The Landing on the first floor benefits from being a large open space with PVCu double glazed window overlooking the front elevation, carpet to flooring, centre light points and useful storage cupboard housing the hot water cylinder. 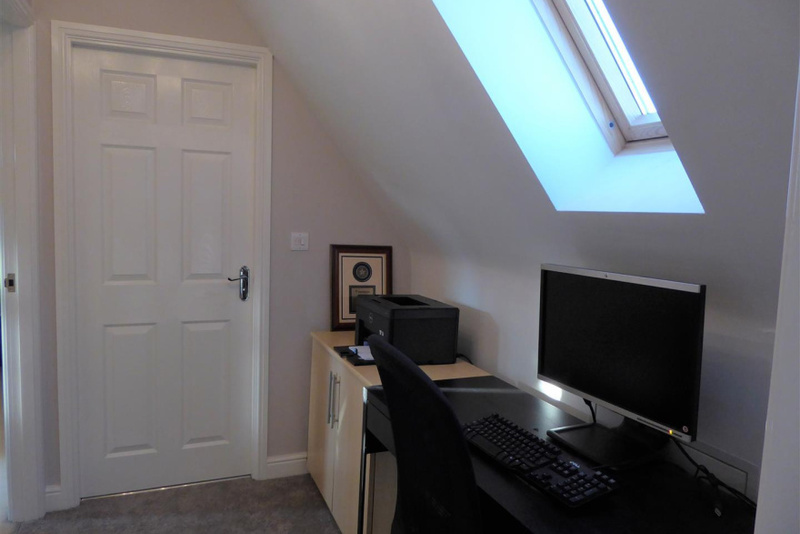 The current owners use the landing on this floor as a Study Area with TV and telephone points, velux window, carpet to flooring and centre light point - all accommodation on the second floor leads off. The largest of the two doubles on this floor has a PVCu double glazed window overlooking the front elevation and velux to the rear elevation, carpet to flooring, triple fitted wardrobes, centre light point and radiator. 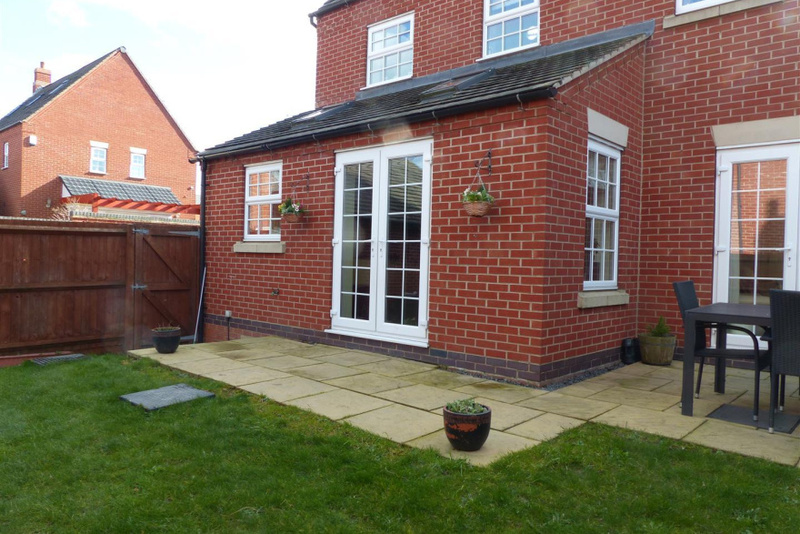 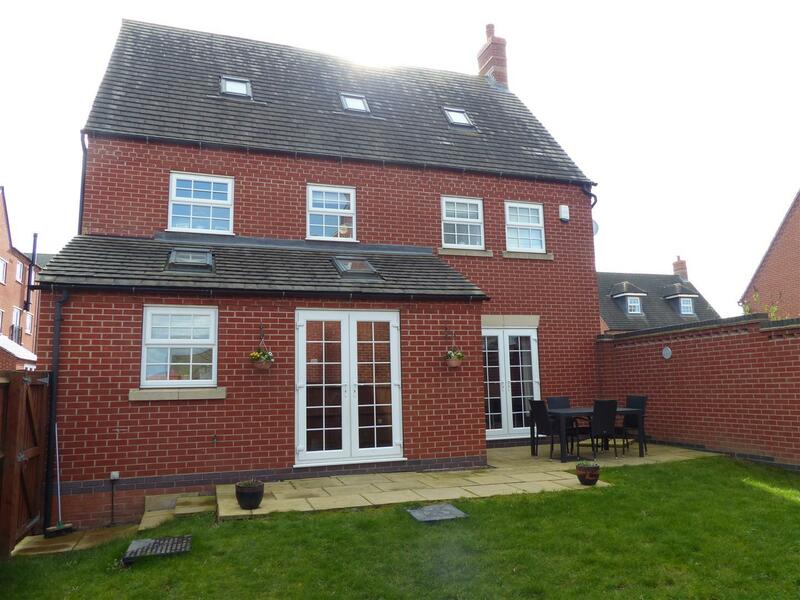 The second double is situated overlooking the front elevation and has PVCu double glazed window, carpet to flooring, centre light point and radiator. 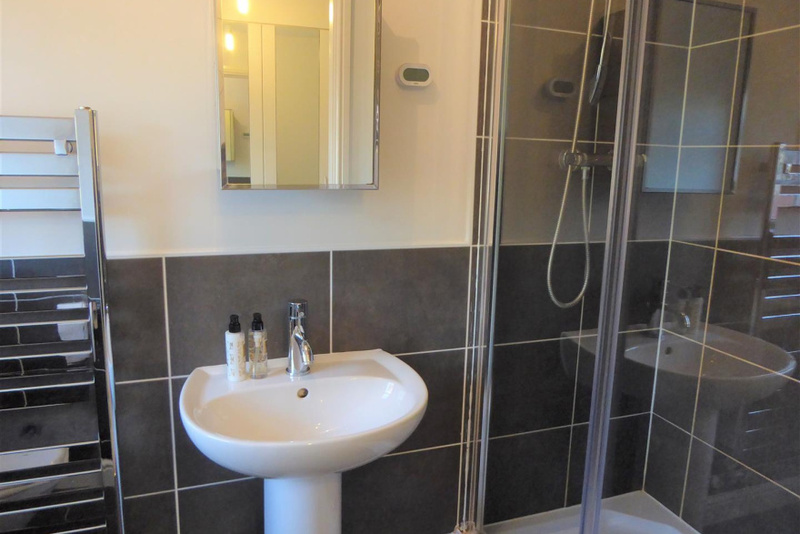 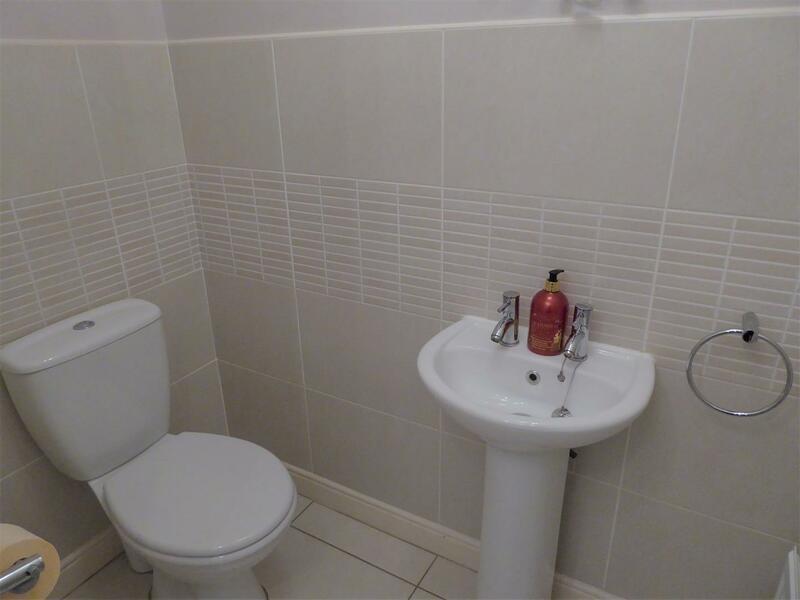 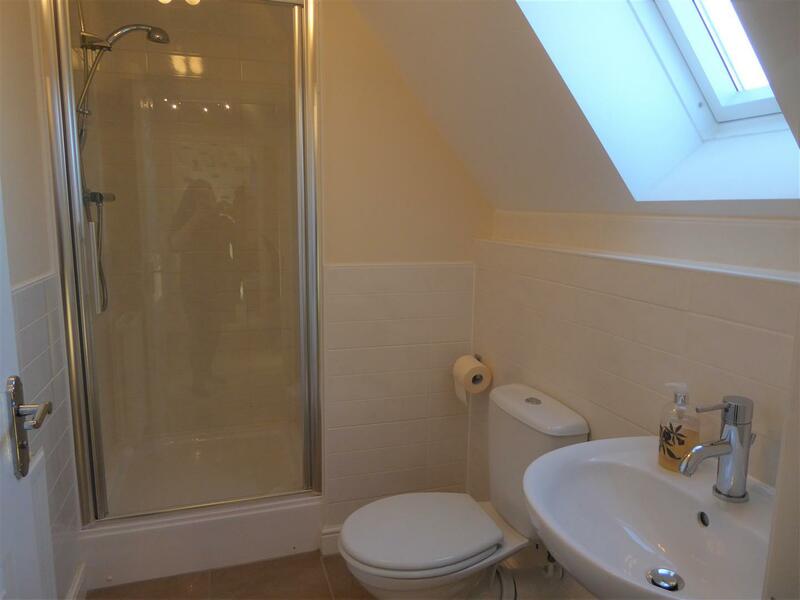 The Shower room is fitted with a single shower cubical with main shower, complimentary tiling to walls and floor, low level WC and pedestal wash hand basin in white, velux window to the rear elevation, centre light point and radiator. 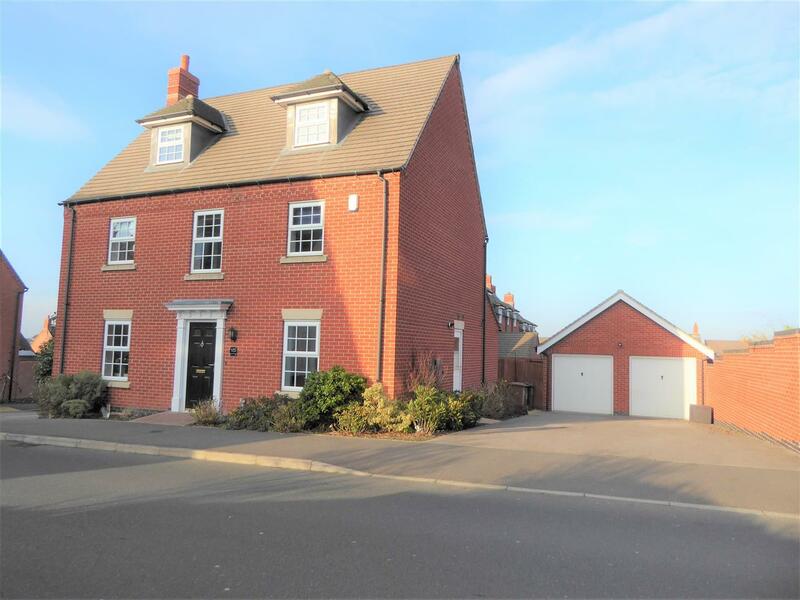 The property has front and side access PVCu doors, a range of established shrubs and trees surround the front of the property - tarmacadam driveway which can accommodate 4 vehicles which in -turn leads to the DOUBLE GARAGES. 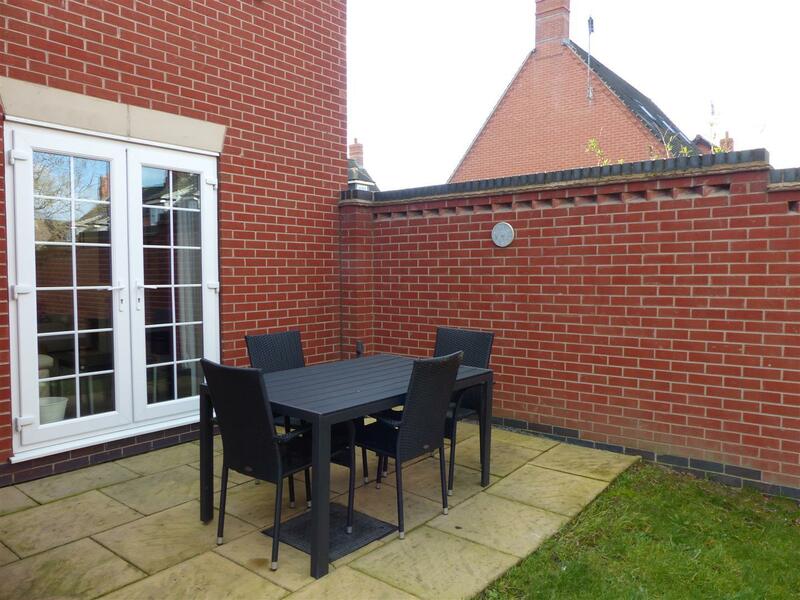 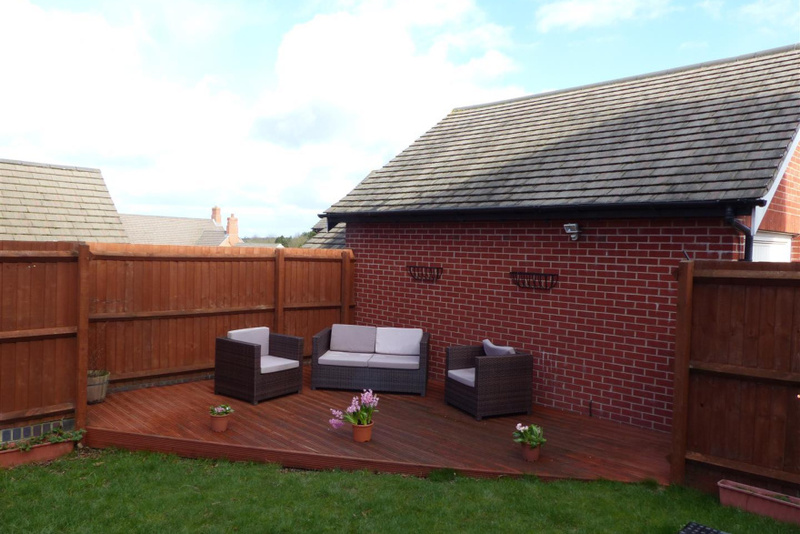 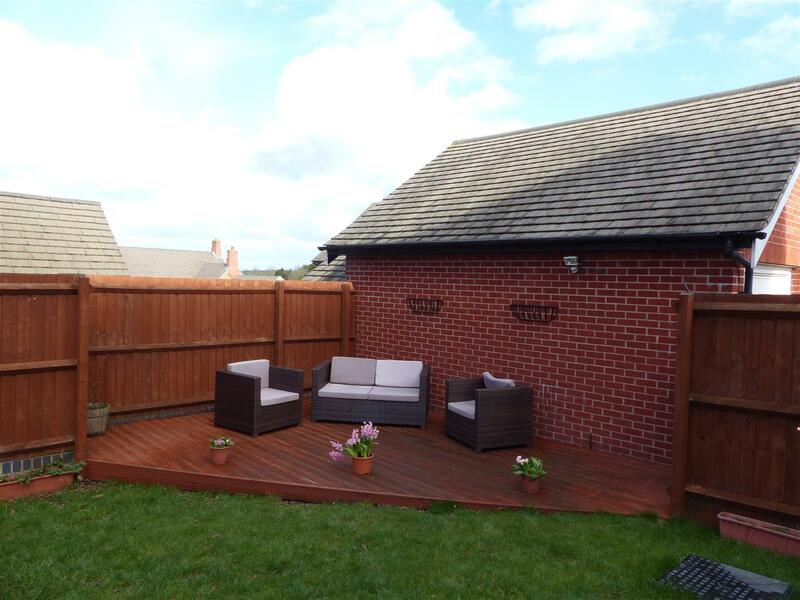 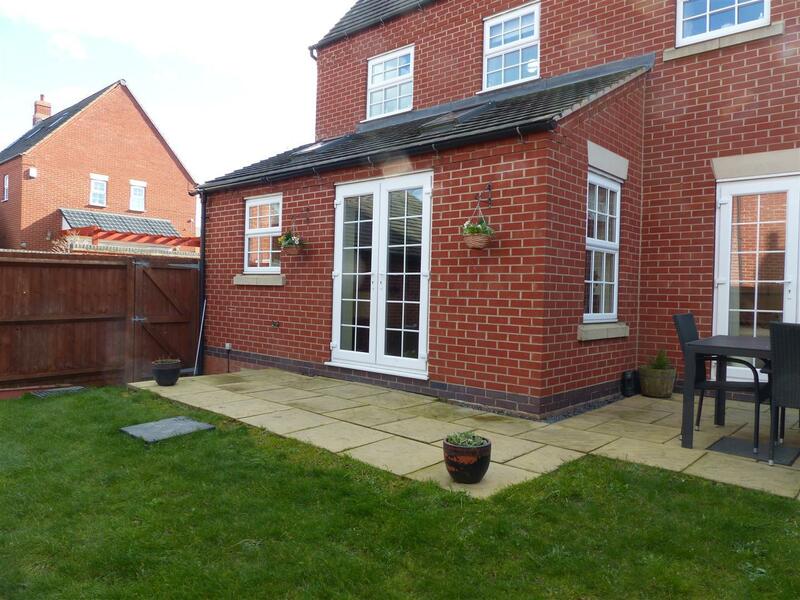 Side gated access leads to the rear garden which is mainly laid to lawn with fenced and walled boundaries, patio area and separate raised decking area - ideal for entertaining.